Another year has gone by and another recount of my spam has been made, and I’m very surprised! 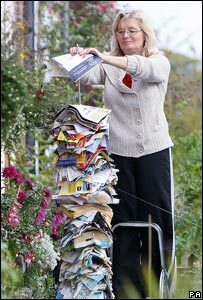 Just as Anne Cohen collected her junk mail, I’ve been collecting my spam to see how much is being sent out every year. This works out, on average, as one spam e-mail every 4 hours 20 minutes and 24 seconds! It’s also less than 1/10th the amount of spam I got the previous year!